Air Purifier Repair, has been in business since 2004, and since day one, our company has been dedicated to improving the health and well being of our customers by providing them with the most reliable, most efficient air purification solutions on the market today. 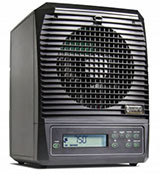 We specialize in parts and accessories for most Alpine / Living Air / Ecoquest type air purifiers. All of our parts are top quality and at most affordable prices on the market today. After repairing over 50,000 air purifiers since 2004, as of 02/01/2014 we no longer repair air purifiers. The reason is simple. In the recent years home ozonators became more main stream, which caused the manufacturing process of these air purifiers to dramatically improve and prices of new air purifiers to drop significantly. 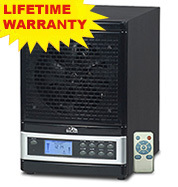 It is no longer economical for the consumer to repair broken air purifier(s) and we can no longer advise our customers to repair their broken units. 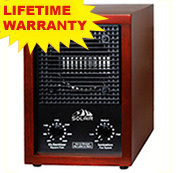 Now you can get a brand new, excellent quality unit with a liftime warranty for as low as $199.99. With our reputation on the line, our professional advice to you is not to waste your money on costly repairs which only offer you a few months of warranty, spend as much on as you would spend on repair and get a brand new unit. We stand behind all of our products and services. We have a great team of professionals that are here to provide a top standard customer service to all of our visitors. We are extremely proud of all our customer service representatives. Our company always strives to find great new products on the market, sell them to you at low price and deliver to you quickly and hassle free.